Master thesis of Lucas de Vilder (2017), Technical University Delft in the Netherlands, exploring the possibility of a large scale inverse pumped hydro storage facility in the middle of the North Sea at the Dutch part of the Doggerbank. The idea is to build a ring dike of typically 40 meter high for pumped hydro energy storage purpose. The facility would be “inverse”, meaning that the dike would hardly be elevated above sea level. The required altitude difference between sea level and reservoir level is achieved by digging a deep basin rather than building a high dike. Spoiler: For a preferred 25GWh storage capacity and 2.65GW of installed power the LCOS may vary from 68.2€/MWh to 19.0€/MWh of which 40€/MWh is found the most realistic. At an average Dutch power consumption of 13 GW, the storage facility would contain the equivalent of 2 hours of Dutch electricity consumption and could be released in 10 hours. The cost would be 3-18 times lower per unit of energy compared to batteries and power-to-gas. A US study has shown that with 4-8 hours of storage you can cover 55% renewable energy. Let’s assume 6 hours. 13 GW average Dutch power means that 6 hours correspond to 6 hours x 13 GW = 78 GWh. In a graph below it is claimed that the cost of a 80 GWh storage is ca. 4 billion euro. For a country like Holland with an expected GDP of 888 billion euro in 2019 and public debt below 60%, that is absolutely doable. With such a storage in place, the Netherlands can roll out its intended 2 x 7 GW monster offshore wind projects “with two fingers in the nose” and buy a decade or so time to wait for longer duration storage solutions to emerge, most likely hydrogen or derivative ammonia. 80% or more efficiency at electrolysis of steam, rather than water, has already been realized. Building an adequate energy storage system is one of the central challenges of the renewable energy transition. 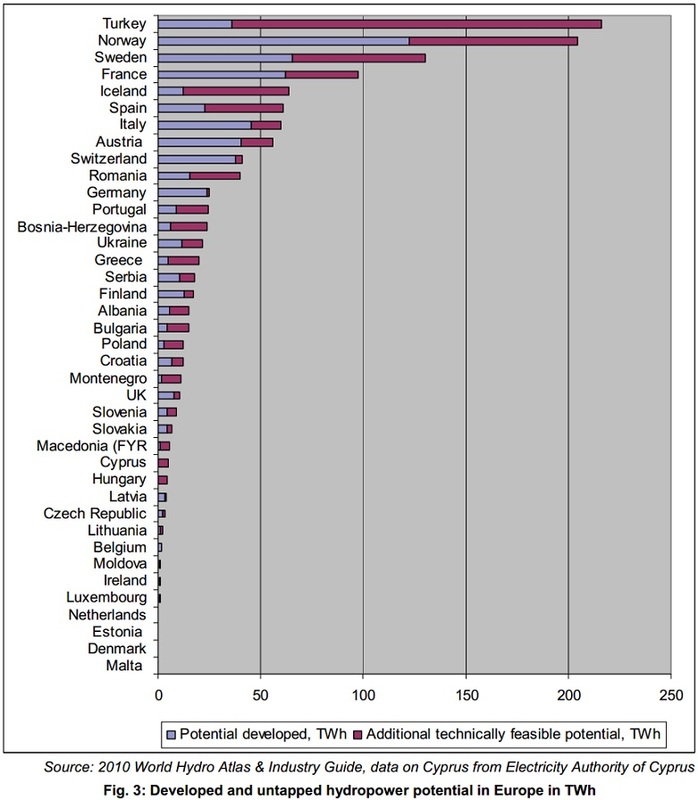 Pumped hydro storage is a very important option. Most people associate this with a dam in a valley behind which water can be pumped upwards in times of excess renewable energy available, in order for it to be released later, when the electricity is required. But there are more options. One of them is building a large reservoir on top of mountain. Another one, attractive for the flatlanders, is building a high dike in the sea. Loucna nad Desnou, Czech Republic. [virtualniprohlidky.cez.cz] – Panoramic view. Note the lower reservoir. More than 2 GW, generating 5,000 GWh/year. [source] So-called Plan Lievense, dating from 1981. With the massive Dutch multi-GW wind power plans for the North Sea, to be realized before 2023, some form of energy storage is inevitable. One of the options is building dike structure that allow for fluctuating water levels of up to 40 meter. Design consists of a closed ring-shaped dike of ca. 6 x 10 km. Water levels will very from 32 to 40 meter under the water level of the surrounding North Sea. Lake surface area: ca. 40 km2. Storage capacity is more than 20 GWh (value 5 million euro consumer end price of 25 cent/kWh), sufficient to produce 1,500 MW during at least 12 hours to the national grid. 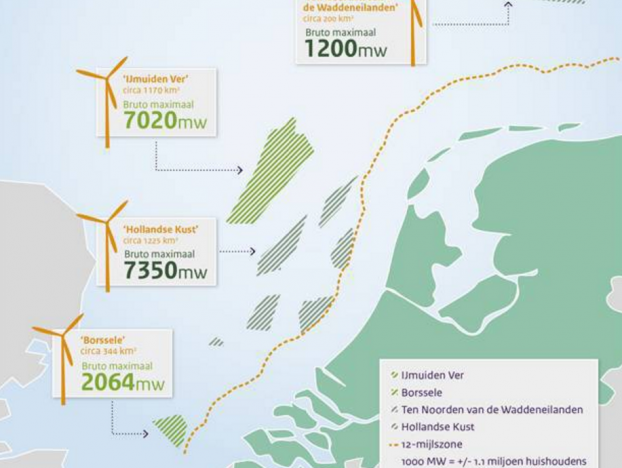 this plan could be profitable from 9 GW wind offshore wind power, expected after 2020..
Plan Brouwersmeer near the coast of the Zeeland province, an implementation of the Plan Lievense. As reported earlier, renewable energy is doing well in Scotland. But with the increase of that segment of energy generation, the need for storage becomes ever more prominent, considering the intermittent nature of renewable energy supply. The best remedy to date is pumped hydro storage, meaning: if you have too much supply of renewable energy, use that energy to pump water high up into a mountain reservoir and release that potential energy when energy demand is larger than the existing renewable energy system is able to supply. 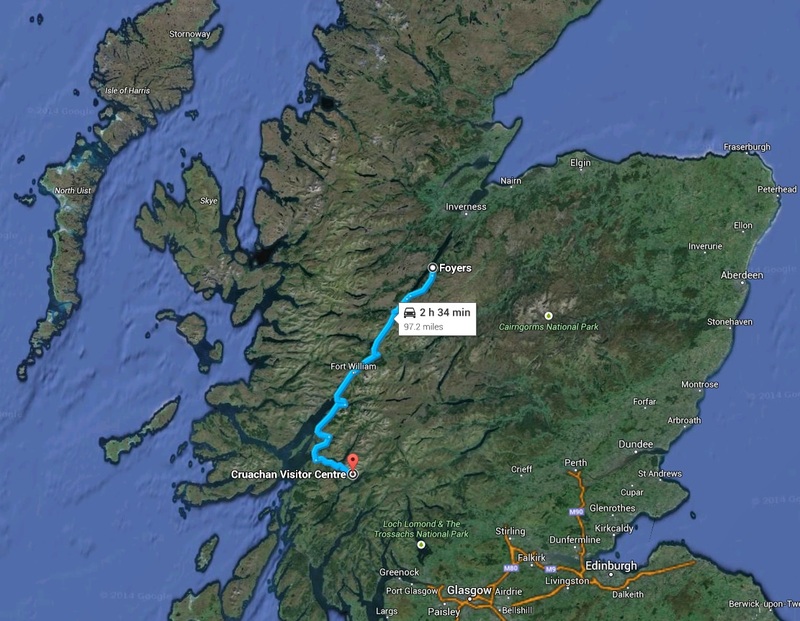 Two new facilities re planned for the Great Glen area with a combined capacity of 900 MW. It has been calculated that if Scotland wants to keep storage matters entirely in its own hands, it would need 7 GW total pumped hydro storage capacity, ten times as much as is available now. 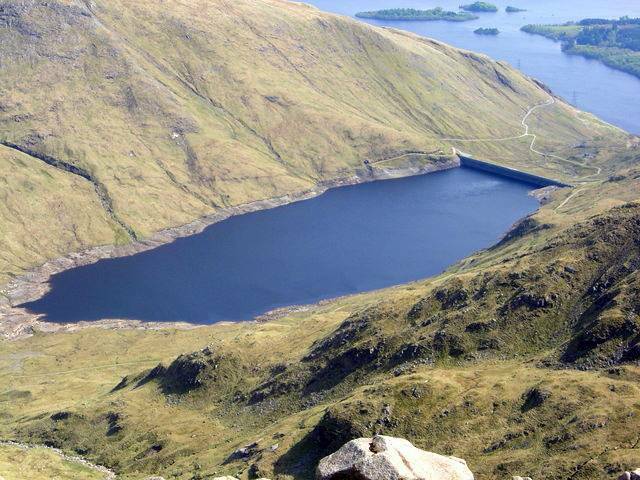 Strong opposition from environmentalists against more mountain hydro reservoirs exists, but it remains to be seen how much of that resistance remains, once push comes to shove and an average Scot is forced to stay in bed in a dark home, thinking about how he would like to have his environmentalist best: medium or well done. Another option would be to combine large scale pumped hydro storage with battery storage at home, where matters are developing fast, with $100/kwh a possibility in the long term. Under these circumstances, for ca. $1,000 a family could store electricity for two days or more. Large energy storage facilities are an essential ingredient of future renewable energy systems to filter out unpredictable supply of renewable energy. Here a few videos about pumped hydro storage systems.